Why Get a Pro To Do It? The economy’s doing better. You’re a start-up — but you’re great about staying within budget, prospects look good, and all things are on track. You realise that there’s an outlay of cash required to get your “framework” set up properly — there’s hiring, and office space procurement, and getting a website up and running (and making sure it pops up with the prevalence and frequency so that people can find it) — the very last thing on your mind (and the very last thing you imagine throwing cash at) is who will voice your telephone system. After all — everybody speaks, right? People may even have told you on occasion that *you* have a “nice voice”, or — there’s Caitlyn at the front desk! She’ll be answering our phones — let’s just get her to record our outgoing greeting! 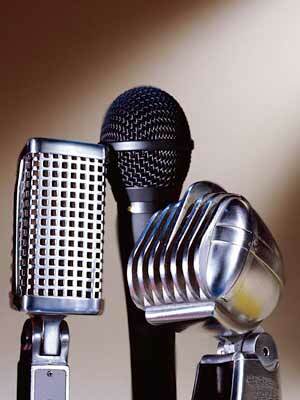 Besides, have you looked for voice talent on the internet? Those guys make a killing! We’ll just get one of us to voice it. Well, like any skillset, it’s not hard for anyone experienced at it. I’m a professional voice talent, which simply means that I’ve parlayed a voice of reasonably agreeable tonality into an actual job. I voice telephone systems in a consistent, well-modulated way which has made repeat customers comfortable in coming back again and again for that same “sound”, and word-of-mouth referrals feel safe in knowing that same work I did for their colleague will be replicated for *their* telephone system. I am capable of great many different styles and accents — but typically, a straightforward, no-frills, under-the-radar neutral telephone voice is what people want (and what I can repeatedly give them.) Even though I am human, energy levels when recording are kept at an even keel. As a plus, I run professional recording gear, and manage to keep the settings and parameters fairly unchanged, so as to not interfere with the sameness of recordings done months and even years apart. No big science to it. But just as I can (and do) make a fairly reasonable pizza from scratch at home, I couldn’t compete in the arena of those who make high-volume (and consistently high-quality) on-demand pizzas every day. Those who make a skillset their full-time work have a discerning eye for quality; they instantly know what works and what doesn’t, and they have a keen sense of what their best work is, and what needs to scrapped and re-done. With repetition comes an expertise which sets a standard that cannot be upheld by an occasional dabbler. 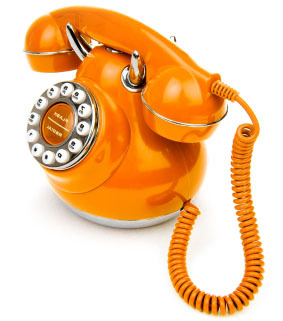 I was recently asked by the authors of the new Asterisk book to weigh in on the chapter on IVR, where — as heartily as they encouraged Asterisk implementors to utilize the services of a professional recording artist (specifically: me), they also encouraged telephone recording for Asterisk — perfectly fitting with the turnkey aspect of the system itself. It’s ready out of the box, and it makes sense that all stages of the installation should be completely self-managed, without any need for outsourcing. My comments back to the authors about direct-to-phone recording were borne out of my own experiences at being asked to do them: I despise it. It evokes abject terror in me when I’m asked to record over the phone. People’s instructions to get into their systems are rarely accurate (there’s usually some crucial missing step); the handset itself is a terrible microphone and prone to registering any and all plosives; there is no luxury of editing out breath noises (clients assume I have the lung capacity of a Japanese Pearl Diver; I simply edit out all evidence of breathing..) — and most importantly: if there is a screw-up, there is no clean stopping and re-starting where you left off — the whole recording is scrapped and you must start from the beginning. With recording into a computer system, there is very little that editing software — once you get skilled at it — cannot fix. She has responsibilities of her own, and can hardly be expected to drop everything at the last minute to update the phone tree when there’s a shift of personnel. She may be unavailable to record; she may receive a promotion or move to another department or get hired somewhere else — and you’re stuck with a phone tree which can either be added to with different voices (creating a strange, multi-personailty pastiche of voices on your system) or scrap the entire thing a start all over again with the new receptionist. Recording the outgoing message — from a busy receptionist’s perspective — would rank right up there with having to clean the microwave in the break room. It could easily be seen as an onerous task — and that will translate in what she projects in the recording. You can tell when a job is perceived as chore, and when it’s done with the gusto that comes from pure love. We love what we do (even if the scripts are usually fairly formulaic, we try to treat each one as a completely new and fresh entity). My hairdresser *loves* hair — she can’t imagine a day without fiddling with or manipulating hair in some way and was beside herself with anxiety when she had to take some time off for a surgery. Hair is her canvas, and she looks forward to every day she goes to work. That’s why she’s my hairdresser. Maybe not with word processing, but Caitlyn does not have the experience or the discipline to make sure the that prompts she’s updating today will match in volume and energy of the ones she’s previously done. As an ancillary task, the voicing of the prompts will not be anything that she will be able to maintain a level of consistency with, the way she can with her principal tasks. You take your car to an expert; those who have had their bathroom remodeled by a hobbyist have done so at their own folly. Your telephone system sets the tone for your company and establishes an irreversible impression about your company for your callers. Sourcing out the voicing of the system to someone who takes the job seriously; who is always available for redo’s; who keeps the quality consistent — it’s one less thing to worry about. Next week, I’ll be speaking at IT Expo in Miami about “IVR Mistakes and How to Avoid Them” — in my next blog, I’ll delve into public speaking and how even someone who speaks all day/every day is not immune to the same public-speaking gremlins that everyone feels. A few years ago, a focus group was held to study the viability of The Yellow Pages — the ubiquitous gigantic directories of local businesses which still gets dropped off on our doorsteps every year. The leader of the focus group asked participants a key question: how often did they use the Yellow Pages in the last year? Most said once a year. 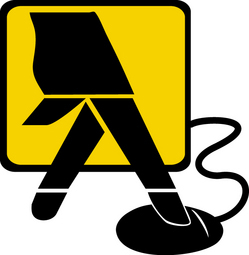 I wouldn’t be much of a blogger on the telephony industry if I didn’t write about changing trends in the industry — and one of the biggest examples of a necessity-turned-anachronism is The Yellow Pages. The internet happened. It happened to everybody. And while some might point to the Yellow Pages adapting beautifully to the online world, the stats say differently. Since 2007, many US states have quit printing residential listings and many more have pending requests to do so: Alabama, Delaware, Florida, New York, and Pennsylvania, to name a few. Yellow pages may not be far behind. Traditional Land lines are being disconnected at a rate of nearly 10% a year. The connectivity we have away from home — and the ability to do instantaneous searches of business and their contact information, maps to their locations, their rates, find product pictures, and read reviews — wherever we are — makes the housebound landline go the way of the buggy whip — and as for those yellow directories we used to keep on hand to find a dance school, hairdresser, taxidermist? Rapidly becoming useless, unless we’re propping up babies with them. Would you haul the yellow behemoth out and look for a travel agent? Caterer? Lawyer? The travel industry, in particular, has become so completely turnkey — with travel deals as close a typing in “Trip Advisor” or “Priceline” into a browser — almost making the travel agent in and of themselves relatively redundant; let alone an unwieldy and awkward guide which lists only the travel agents in your area and just their contact information — and that’s it. In the time it used to take to look up an agent in the Yellow Pages, you can have y0ur trip booked and the itinerary printed off — and your plane ticket will be at a price that required no “inside knowledge” of an agent to secure. Some industries, however, still have a strong presence in the phonebook — plumbers and contractors are good examples. If you are looking to renovate your bathroom, for example, it can be difficult sourcing a comprehensive selection of candidates online in your local area to do it. There still isn’t enough local content to provide consumers with the same shopping experience as what the online travel industry offers, for example. 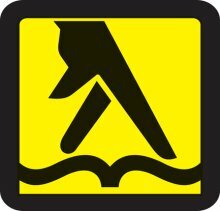 In March of last year, Yellow Pages Group in Canada rebranded with a new logo, which foists the “book” right out of the picture, hoping to associate the ubiquitous walking fingers and a blobby, mouse-pad/mouse-shaped outline — in an attempt to signal that the product is now multi-platform. (Ignoring the persnickety but true fact that our fingers don’t do that “motion” when searching for something online. Our fingers look like that when we’re pointing our fingers downward on printed material. It would be a less aesthetically pleasing logo — but more accurate — if they’d designed the “chicken claw”-like look of hand grasping a mouse. But I’m getting off track. ) Getting customers to think of Internet Yellow Pages (or “IYP” as it’s known in the industry) is no easy sell. Google, Google Maps, Bing, Yelp (which — undeniably — is a clever acronym of “Yellow Pages” without any of that messy yellow print stigma attached to it..); nearly any other online search engine outramps the online versions of Yellow Pages, be they Superpages, Dex, or Yellowpages online. Your first instinct will be to enter your term into Google if you need to send a bouquet from your small hometown in Rhode Island to a client in New Mexico — you’re just not going to use your local Yellow Pages online directory to find a nearby florist who *might* coordinate the delivery…or a florist on their end. You’re going to find an instantaneous listing of those florists who deliver all the time anywhere — with photos, prices, and a payment portal, so you can have the whole thing taken care of in a matter of a couple of minutes. I have a great personal attachment to the Yellow Pages — a dear cousin of mine proudly sold ad space in the Alberta Government Telephones Yellow Book for most of her working life; I acquired a vintage pink rotary dial phone from my Aunt’s estate — and one of the most endearing features of the phone is the vintage AGT Yellow Pages Sticker on the handset; I also voice an auto-dialer for Yellow Pages yearly, which calls virtually every home in America, asking if the household received their Phone Books; enquiring sweetly if they’d like to have more delivered. Like the pagers that most of us wore with great gusto on our waistbands in 80’s, the Yellow Pages served their purpose well and brilliantly when they were the ultimate mode of linking people together. I dutifully stack the current year’s books in the corner of my office, but can’t foresee a time in the near future — as most people can’t — when I’ll actually turn to them. Next week, I’ll address the question: “Why Have a Pro Do It?” when it comes to your IVR voicing; the economy’s recovering, but people are still cost-conscious and wondering why they’d need to hire an over-priced voice talent to voice their phone system. Caitlyn’s right there at the front desk — let’s get her to do it! Next week, I’ll explain why “Caitlyn” may not be your best choice…. You Can Shout All You Want -- We're Not Buying It! There are “trends” in voiceover — whether you’re talking about the style of announcer you currently hear when listening to a TV ad campaign; a type of telephone voice or even the kind of approach you might hear in a DJ either on FM or AM radio — the “mood” or “feel” created by a voice is an important stylistic element to consider when hiring a voice — and these “trends” are as variable and as prone to whim as hemlines. I firmly believe there are “trends” in voiceover which — just like fashion — can be cyclical, are never definitive (or permanent) — and that one must be sensitive to these fine changes in the market and adjust your performance accordingly — whether you, yourself are a voice talent looking to keep your demo current, or are in the position of hiring voice talent or writing ad campaigns which require a voice-over component. Shouting. 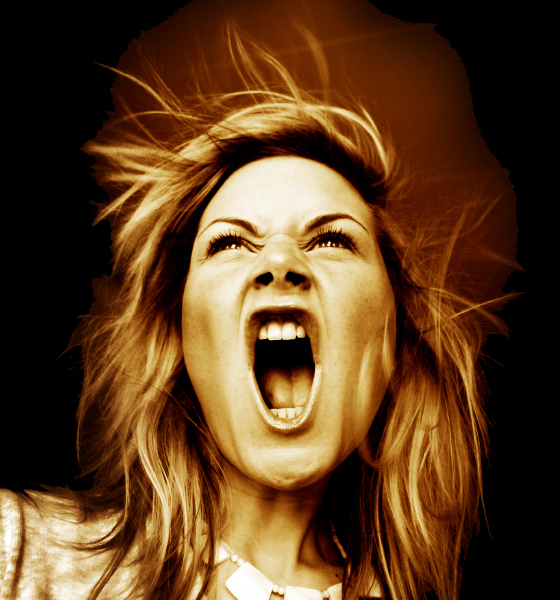 I, and most other professional voice talent, dread copy which dictates that we scream. In addition to being a huge waste of energy – and an actual detriment to the voice — that trend of advertising went out long, long ago. Ad agencies have long ago figured out that nobody responds well to being shouted at; a constant barrage of noise actually makes listeners reach a saturation point, and certainly does not compel them to take their wallets out. It could be argued that it’s the only way to fill the stands for a Monster Truck and Tractor Pull, but for almost any other product — keep in mind that *nobody* enjoys being assaulted about the ears. “The Earbug”. There’s a topical headache remedy (applied directly to the forehead — you know the one…) and the signature aspect of their ad campaigns since its inception has been a very monotonous and irritating tag-line being repeated again and again throughout the ad, until you find it rolling around in your head for hours afterwards. Now, many advertising analysts might call that a “win”: after all, the ad is memorable, the tag line is unforgettable, and the all-important victory: you can remember the product’s name. I call it complete disaster; an ad series which doesn’t care about finesse or creatively getting the message across — it’s planting an earbug in your head and gives you no choice but to repeat it and remember it — but makes me and many others deliberately *not* buy the product, because that would be rewarding the people who drove me so crazy. “Gary Owens” Syndrome. Everyone watched this last week — with great interest — as Ted Williams, former homeless man-turned-re-hired DJ — was discovered panhandling, noticed for some amazing velvet pipes as he thanked the donor; was later videotaped by the same benefactor, uploaded onto You Tube, featured on CNN, and who now is fielding offers from radio stations, sports affiliates, and various other media contacts, taken with his amazing story and — let’s be honest — looking to capitalize on the publicity. My first thought — when watching him demonstrate his amazing announcing skills — was one of cautious congratulations. I — like everyone else — wished him well, and hoped for the best. But I was also stricken with a certain “dated” aspect to his DJ style — he was doing the traditional velvet-throated classic-DJ; all bravado and cigarette-enhanced bass tones which, quite frankly — just aren’t done anymore. Like the stereotypical announcer Gary Owens on Laugh-In — with hand cupping the ear, and the elevated, unnatural stilted DJ style oozing out, DJ’s are now (and have been for awhile) displaying a more natural, personable “‘everyman” persona, rather than what a DJ has “traditionally” been expected to sound like. Addiction problems aside, was Mr. William’s dated delivery the source of not going further in his broadcasting career? Was it a moving part in his demise that he couldn’t get out of “DJ Head”? Telephone “Automaton”. With the lion’s share of my work being in the area of voicing telephone prompts, I can tell you that even that area is not immune to trends. Years ago, the preferred style was an emotionless android, who had no appreciable “ups” or “downs” in inflection — this was to accommodate even and seamless concatenation of prompts. We now know that if a voice talent were to voice series or “strings” of related prompts — such as numbers, months, days of the week — with a mind to doing them in a “up-ending” inflection, “down-ending” inflection, and yet another set delivered fairly neutrally, almost all eventualities would be covered. Prompts can then be delivered in a candid, conversational tone (much preferred in modern IVR’s), and the “robot” sound can be avoided. It feels natural to write a companion piece blog next week which expands on this idea (but which I had planned to write in coming months) — next blog, I’ll delve into the sometimes dark science of “How To Hire The Right Voice”. As always, thanks so much for reading. Has something you’re read sparked a comment in you? Feel free to leave a comment! 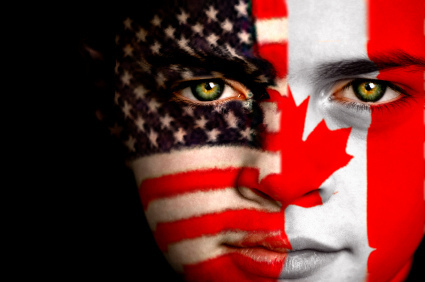 Canadian voice-over talent like myself have an interesting and unusual challenge which presents itself, especially when — as mine is — your focus is on building an American clientele. “The prefix ‘i’ such as anti, and semi ,” continues Lisa, “Is typically pronounced as “ee” by Canadians and “eye” by Americans.” Similarly, “The ‘ile’ suffix is most often pronounced as “aisle” by Canadians, and “ul” by Americans in words such as ‘fragile’ ‘versatile‘, mobile’, ‘hostile‘”, adds Lisa. She also points out the characteristic American pronunciation of “roof” with the vowel in “put”, where Canadians tend to say “ew” as in “pool”. I brought up a predicament which Ms. Bjerke found interesting: when I’m asked to voice in a British accent (frequently — in fact, I’ve blogged before in this space about how “Jane”, my British alter-ego — sometimes snags more work than I do..) — quite often the scripting is at odds with the accent. The client (usually American; and is wishing to create an upscale, erudite image by using an English accented-announcer..) will insist that I say words like “controversy” as “CON-tro-VER-sy”, as opposed to the more authentic British “con-TROV-ersy.” I should be saying “IN-quiry” (British) as opposed to “in-QUIRE-ry” (American). Lisa addressed that by explaining: “accents are comprised of two main aspects: segmentals which are the individual vowel and consonant sounds and the supersegmentals which are the unique stress and intonation patterns of the language.” Her advice was actually my default way of dealing with the problem of script battling the accent: I may have to do it in an ‘un-authentic’ manner to please the public.” And to always keep in mind who the audience is. Lisa spent American Thanksgiving in Los Angeles, and was stricken — even herself being a speech pathologist — at how our brains perceive the differences in accents, even with the vowels “a” in “hat” and “a’ in “hot” being delivered in a millisecond — the differences are appreciable and distinct. Thanks for reading (and for sticking with me while the blog went on a slight hiatus for Christmas) — I’ll be back next week, where I’ll explore “trends” in commercial voice-over — and speculate on why we still hear styles which are decidedly outdated.